Amazing lace baptismal clothes for your little girl. A beautiful dress made of white lace and light blue lining, decorated with blue fabric flowers and a large light blue bow in the back of the dress. 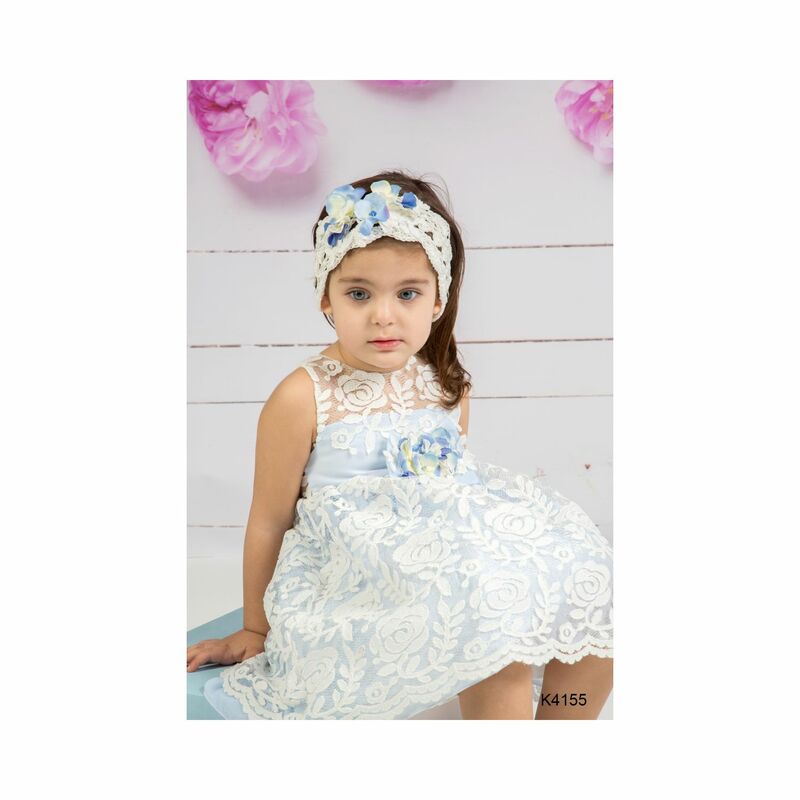 It is combined with a white crochet headband adorned with the same beautiful blue flowers. https://www.preciousandpretty.com/2018/05/lace-baptismal-clothes-for-girls-K4155.html Greek Wedding Favors|Orthodox Crowns|Stefana|Baptism Invitations Lace baptismal clothes for girls K4155 Baptismal lace clothes for girls. Dress made of white lace with blue fabric flowers. Product #: Greek Wedding Favors|Orthodox Crowns|Stefana|Baptism Invitations_77309707114432903 5 stars out of 5 reviews.